With the changing global environment, our entire lives have been digitalized. Right from the moment we open our eyes in the morning, we can access our mobile phones from the comfort of our beds and from there on, we come in contact with a wide number of electronic devices in our daily routine. Children in particular have developed a knack for playing video games on various devices noticeably the handheld ones. More often than not, games are considered to have a negative impact on the development of their minds but in actuality that is a stereotypical myth. Gaming can be quite beneficial in the development of a child’s mentality. Let us consider some important reasons why video games can be useful for brain development. After the incident of Sandy Hook Elementary school killings and a number of other similar instances in the recent years, there was a major backlash experience by videogame developers regarding the violence depicted in their games and how it could act as a facilitating factor. But the research states otherwise. Every individual goes through certain phases in life which might be a cause of aggression or depression for them. Games present the perfect outlet to channel out that anger and frustration in a non-harmful and entertaining way. Extreme sports video games have been found to actually present that adrenaline rush which people need in order to satiate their hunger for thrills. We can observe how a number of titles allow gamers to play the part of a hero like figure, and that has actually been attributed to instill virtuous qualities and morals in individuals which go a long way towards the formulation of a successful personality. The famous motor car racer Lewis Hamilton believes that playing racing games did help him adapt to the actual racing environment quickly. Gamers get to learn an array of dynamics about the race track, the various terminologies, and various maneuvers a car/bike can make and what the outcome of those maneuvers is as well. And racing games are just one instance. Video games especially the ones which offer 3d environments help gamers relate in-game situations with real life decisions. The current video game scenario has introduced a number of open world titles for gamers which allow them not only to control their characters, but also teaches them to survive in a virtual environment be it fantasy, or replicated from a real life setting. Let’s consider this example from the aspect of one of the most popular upcoming games, “Red Dead Redemption 2” from Rockstar studios. The game allows the players to travel back to the western times of cowboys. As a player, you control every life aspect of your player, including financing the commodities they need for survival, gathering various substances for medicinal purposes and allocating your resources towards a certain goal. Players get to learn a lot with respect to management and children especially in a younger age get to understand the importance and value of resources. Such games could be considered as virtual simulations, teaching children real life lessons. The world of today has a lot to offer to the youth due to the advancements in various fields which is pretty cool but it also exposes our youth to a number of dangers, including involvement with drugs and other adultation related activities. This matter might be considered tabooed by some but this needs to be discussed nevertheless as its important. Video games act as a positive distraction especially for individuals who might accidently or not fall with the wrong company. Excessive gaming might become a strain on your routine activities including your studies but the excess of any and everything should be avoided. So it’s preferable to let your children enjoy games in their leisure time as this a healthy activity in comparison to most. A Molecular Psychiatry study conducted in Germany in 2014, suggested that playing the Super Mario game resulted in an increase in certain parts of the brain. This development was noticeable particularly for parts of the brains responsible for cognitive activities, strategic planning, and controlling the motor skills. 24 participants were included in the survey group and after playing Super Mario for 30 minutes each day, their MRI scans showed a larger amount of grey matter in their right hippocampus region whereas there was no development visible for people who didn’t play that videogame and were living under similar conditions as the test subjects. Research also stated that certain types of video games can be responsible for development of dedicated areas of the brain, quite similarly to how gym exercises develop specific muscles. You must know someone in your circle who is a gamer and they are often able to remember things better than most people. Well that is not exactly a coincidence. New researches are attributing certain types of computer games towards a better memory particularly in older people. Memory is one of the abilities that old age takes a toll on after a certain period of aging but active participation in games can slow down that process significantly. The Brain and Mind center in university of Sydney conducted a research on the subject of Mild Cognitive Impairment (MCI). The survey pool consisted of over 650 members and a time period of around 18 years. The results showed that brain training attributes to better memory, moods and cognitive abilities for patients of MCI. Games developers these days are marketing their products with the tag of improved brain training exercises as well. Sadly a number of them use these tags just to sell their products better while some companies are actually putting in the effort of making their offerings capable of helping people with memory issues. We have this image formed that gaming cuts off individuals from the outside world and thus has adverse effects on their mental health. Well that scenario used to be true in older times but with the recent development in online games, social interaction has increased manifolds. A person sitting in one part of the world can easily interact and socialize with people sitting in the opposite part, and that took over something which they enjoy playing together. Plus gamers often come from different age brackets so you not only get to socialize with people of your age but with numerous age segments. All you need is a good internet to get in touch with your friends over the world so be sure to check out Xfinity offers. Also games aren’t usually gender specific so you can gain the confidence you need to operate properly in the ‘real world’. You must have seen in the movies how gamers are often considered as intelligent tech savvy people. Well that image didn’t sprout up by itself, rather it has been formed by our repeated conditioning of finding gamers as actually being intelligent. A research carried out by the US defense department found that gamers operate 15-20% better in terms of perception and cognitive abilities. The research also showed that gamers have a considerably longer attention span in comparison to non-gamers and they can identify the minutest details in an environment, especially things which a non-gamer would miss out on. Gamers can identify problems and find solutions to those problems while approaching them from new and surprising angles although they might not have a prior experience of dealing with a particular problem. Gaming much like movies and books, teaches you a lot and this comes from personal experience. Major titles like Age of Empires, Commando, and Generals not only teaches you about the strategies used in warfare, but also gives you a good lesson down the history lane every once in a while. There are no surprises when gamers end up doing particularly well in their history classes. With the ever increasing gaming genres, you can acquire a wide array of skills, from cooking to riding a horse properly. And this is just the start of the potential games offer in terms of teaching people. Playing video games significantly improve the hand and eye coordination. This comes particularly handy in medical science because all the internal operations require the surgeons to coordinate they hand movements in accordance with what they see on the screen. Medical science is putting more and more emphasis on virtual operations before letting practitioners perform an actual operation. University of Texas medical school carried out a test where they brought together various groups of individuals including high school students, college students and medical practitioners. Surprisingly the high school students performed better than the rest of the groups. 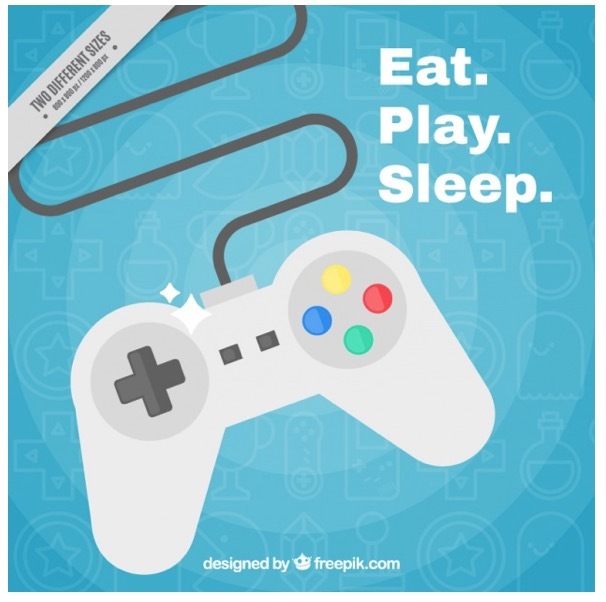 It was further analyzed that the high school students spent around 2 hours a day playing videogames while medical practitioners barely had time for gaming. That leads to their hand-eye coordination being significantly better than the other groups. Videogames when played excessively can be a stain on your studies or your child’s education so you always need to monitor the hours played. Indulging yourself in physical activities is exceedingly important for the healthy development of your body. Your overall routine needs to include a variety of activities which feel not only help you stay active and energetic, but will also keep you satisfied to lead a content life. Guest article written by: Robert James is an MIS with a vast experience and research on personal and home security tech and gadgets. He also write on Xfinity Promotions Packages. He is an MMA Fighter and Technology enthusiast with a will to act. Tech Writer and Researcher with a flare to review the latest security tech and gadgets. Good post. Quite interesting read. Balanced video gaming can definitely help develop a healthy mind. You get real life scenarios where your decision making skills are tested. This makes you ready for the challenges in the outside world.